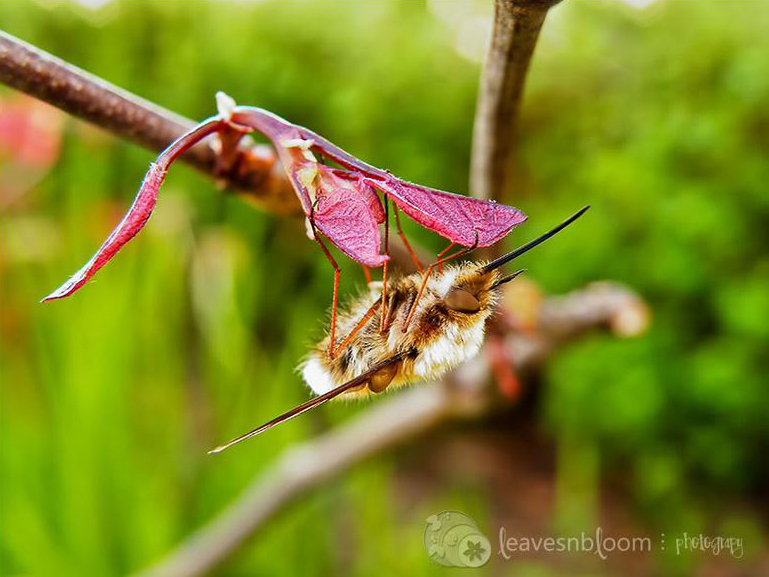 The leavesnbloom garden is full of Scottish wildlife activity at certain times of the year. Just outside my back door is a wild bees nest. They give me no trouble as long as I keep out of their flight path. 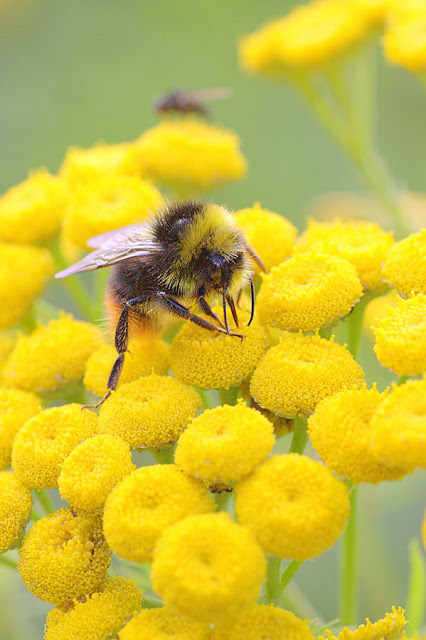 It's lovely to hear their buzzing ... happy bees indeed! But in the surrounding Perthshire countryside there’s even more wildlife to catch a glimpse of. Here are the archive posts on leavesnbloom that cover Scottish wildlife sightings in my garden. You can click on the Scottish wildlife tag which will show you most posts relating to that topic. You can use the search bar at the top of the blog. Just type in particular keywords relating to your search. Or you can scroll down the links here and choose whichever blog post is appropriate. There is little wildlife in the garden from late autumn until the end of March. Nevertheless if we’ve some warm weather in early March we’ll see the Peacock butterflies that hibernated over the winter months. A well as some of the solitary bees. Late spring onwards is when all the action starts with our Scottish wildlife! 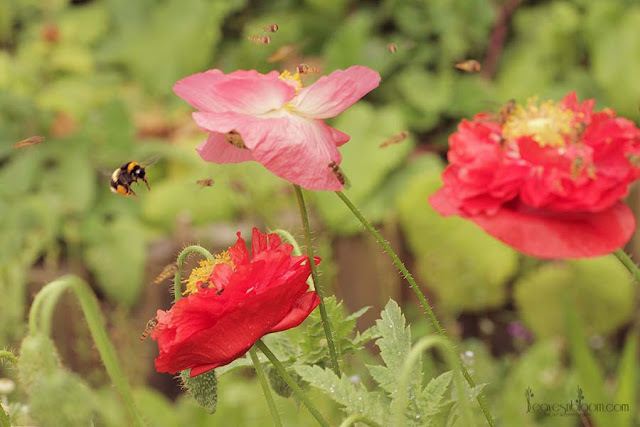 Hover flies adore Shirley poppies and flock to them in huge numbers! The air can be full of them so don’t inhale with your mouth open when you photograph them. Rich Nectar Flowers - my back garden can sometimes literally be a nectar bar. I have a small wildlife pond and the most exciting occupants are the nymph large red damselflies. One year I managed to photograph them at the nymph stage. Similarly the stage where they are crawling out of the nymph skin. Then drying their wings before they flew off into the garden. In all honesty it was fascinating to watch. 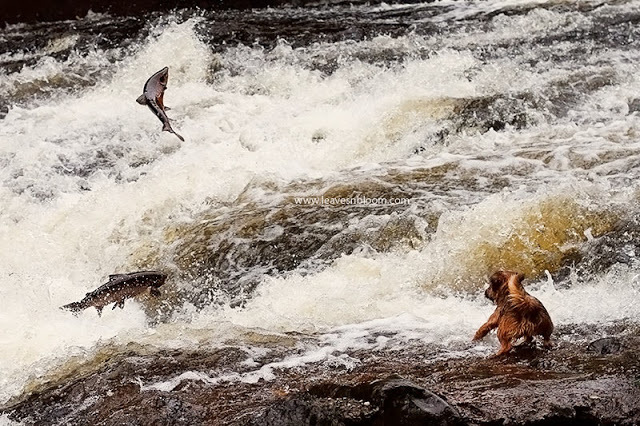 In the autumn time the Wild Salmon swim up our local river to spawn. The tourists go to Buchanty Spout to watch them leaping but us locals know where to go to get just as good a view. If you’ve ever heard of Will ‘O the Wisp or Puck then this post might also interest you. A very strange phenomenon happens to the Rosa canina dog rose stem when a gall wasp takes up residence. What that wasp creates is absolutely amazing! Most people take ladybirds/ladybugs for granted. Our native ladybird has been a rare sight in my Scottish wildlife garden. Despite being as much of an organic gardener as possible the weather must play a part. 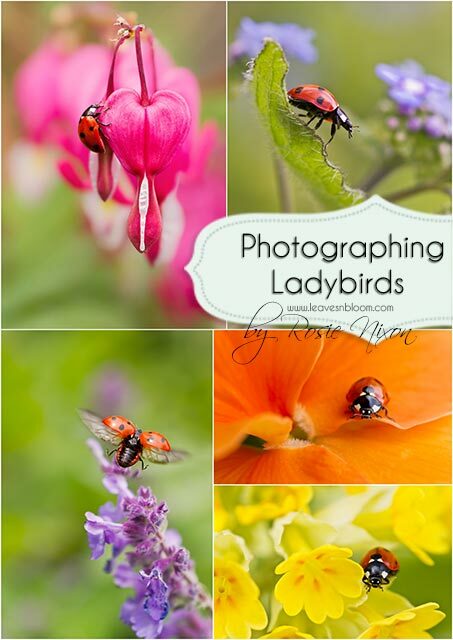 In 2014 ladybirds were no longer rare and I photographed them for months. Then in 2015 during the coldest time of the year I wrote about when ladybirds go into diapause. Indeed it's their antifreeze abilities that stop them from freezing! Lacewings are a rare sight in my garden too. For the past few years I've had a 'bug hotel' for them to hibernate in over the winter months. I wrote a very whimsical post about its installation a few years ago. Just imagine how the Scottish Tourist Board would convince a lacewing to hibernate in the garden! When we first moved here the building site was full of wild flowers. Consequently we had lots of butterflies visiting the garden. Nowadays their numbers have dwindled. 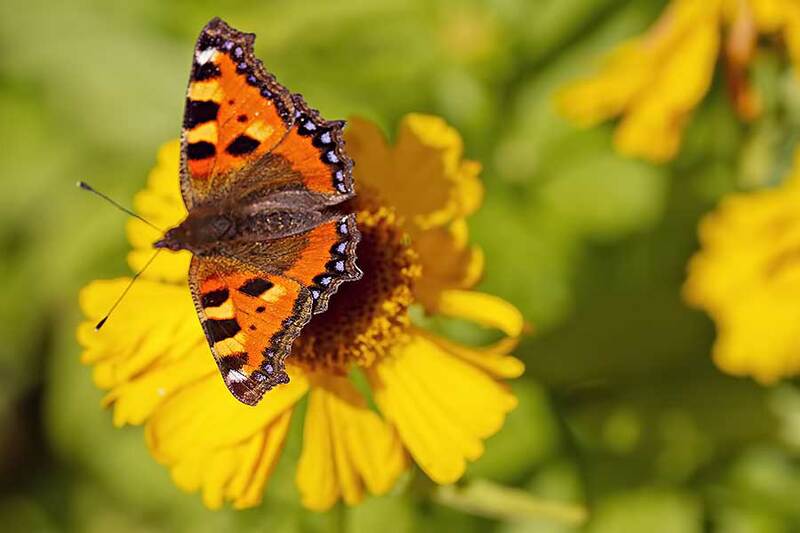 We usually only have the Large White, Small White, Meadow Brown, Painted Lady, Red Admiral, Peacock, Small Tortoiseshell, Small Copper and Orange Tip. Unfortunately visiting in very small numbers. 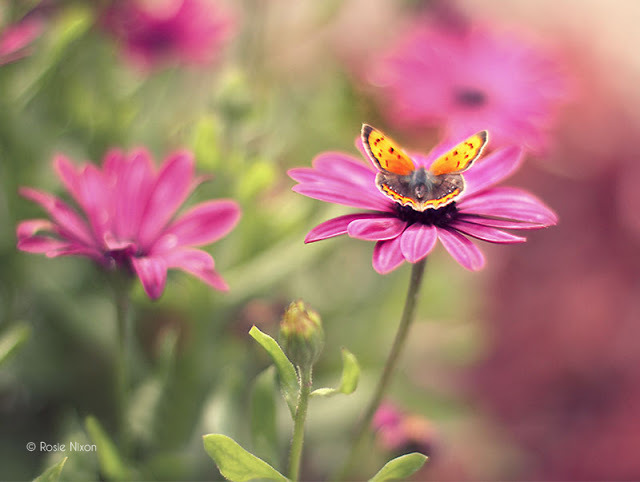 Have you made a Butterfly Puddle? ...even moths get a mention as these ones fly thousands of miles to reach Scotland. One year we had a pair of blackbirds nesting in a bird box next to a busy passageway. In fact they didn't seem perturbed by all the human activity around them and quite enjoyed being the centre of attention. Over the course of a few weeks I was able to photograph the birds from hatching to fledging. What's in Bloom each Month?